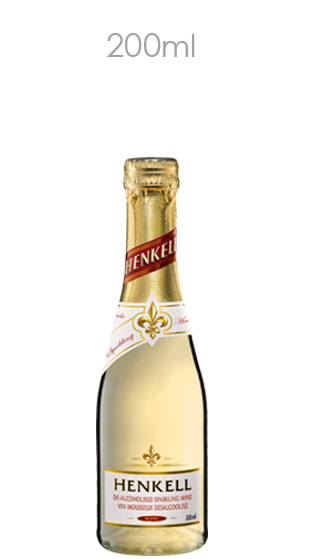 Tasting Note: Henkell's Alcohol Removed sparkling wine, for everyone who wants less alcohol - but not loose the pleasure of drinking sparkling wine. Now avaialble in Piccolo 200ml! Fresh and fruity, with a hint of citrus fruit, pear and apple.